Trouble precedes Ardis Cole to the site of a Han Dynasty tomb in China. 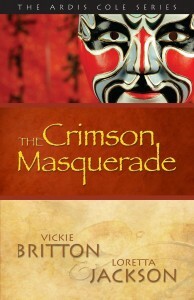 Dr. Yong Po, who has asked for her assistance, is being stalked by a person wearing a crimson opera mask. Ardis is concerned when her co-worker, Grant Merlin, fails to arrive at the project, and his ex-wife, Sheri, takes his place. More problems arise when Sheri is attacked on the cliffs by the same masked intruder. Ardis’ search for the tomb of emperor Sun Yan leads to ancient intrigue surrounding a captive princess, referred to in his poetry as the “Lady of White Jade.” As Ardis delves deeper into the tomb’s secret, a centuries old crime of passion is eerily replayed in the present. A fabulous, exotic trip to China and a visit through an old tea plantation was the inspiration for this mystery set China. We were also fascinated by the many tombs which still remain unexcavated throughout China and the fascinating legends that surround them. A plot to blow up a national treasure. Jessica Huntington, shopaholic sleuth with a black AMEX card is in over her head, but a damn good swimmer! Jessica is hiding out from her own well-planned life, now in shambles. Her law career tanked by the Great Recession, she failed miserably as a desperate housewife in the Silicon Valley. Playing beat-the-clock with her 30-something hormones for 3 long years her final reward was a little baby fat, but no baby. The final blow, though, was walking in on her husband in bed with a well-known Hollywood blond. The Rancho Mirage home where she grew up, surrounded by the beauty of the desert resort town near Palm Springs, seems the perfect place to take refuge. That is until her best friend’s husband is murdered. Jessica and her friends are soon swept into the fray, stalked by scoundrels in pantyhose, stilettos, Bruno Maglis, and Armani suits. Roger Stone had something that got him killed. What was it and to what lengths will they go to get it back? Can this flawed, but resourceful heroine get to them before they get to her? A Model Murder is part 1 of the Alicia Allen Investigates crime trilogy featuring Alicia Allen, the Anglo-Italian Pringle munching lawyer with a passion for solving crime. When an aspiring Australian model, Tamsin Brown, who lives in the apartment below Alicia’s is found raped and murdered and her body dumped in an alleyway in Soho, Tammy’s flatmate Kim begs for Alicia’s help. 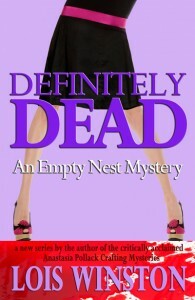 Alicia feels compelled to assist with the murder inquiry and having discovered that Tammy has been working in a hostess club in Piccadilly, Alicia is sucked into the sleazy world of nightclubs. Soon after, Alicia takes a new position at a firm where Kim works as a legal secretary, but it becomes clear that nothing is as it seems and nobody can be trusted. Is there some connection between the firm and Tammy’s murder? When her elderly neighbor Dorothy is brutally attacked for something she has witnessed in connection with the murder, Alicia risks everything to solve the crime thereby endangering herself and those around her in her quest to bring the perpetrator(s) to justice. I come from a legal background and I had the idea to write a novel building upon my experiences from within the law. I was relaying to a friend one day about one of my “experiences” and he suggested that I write it down. After I left the law, through a chance meeting I was offered a modelling assignment and as a result I met several models who talked to me about their experiences and how they supplemented their income when work was in short supply. This inspired me to research the “club” world which features prominently in this book. It was an eye-opening experience for me! When her career is outsourced to Asia, fledgling romance author and empty-nester Gracie Elliott wants a job that will allow her time to write. So she opens Relatively Speaking, becoming a wing woman to the senior set. Since her clients need several hours each morning to find their teeth, lube their creaky joints, and deal with lower GI necessities, and they always turn in after the early bird specials, she has plenty of time to pen her future bestsellers. Gracie deliberately avoids mentioning her new business venture to husband Blake until after she signs her first client. Blake joins the company as a not-so-silent partner, tagging along to make sure Gracie doesn’t cause a septuagenarian uprising. When Client #13 is found murdered in the parking lot behind the Moose Lodge, Gracie knows, no matter how much Blake protests otherwise, she can’t wait around for the police to find the killer if she wants to save her livelihood. I’ve always loved the old Thin Man movies from the 1940’s and wanted to create a modern day spin of them. 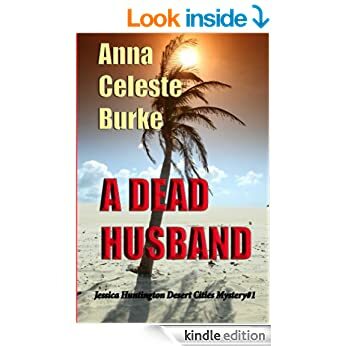 With my husband and wife sleuthing team, the wife is the sleuth, and her husband tags along to try to keep her out of trouble. Lots of things. With How To Survive Your Sisters we wanted to explore the dynamics between four sisters, their similarities and differences, the way they can drive you crazy one minute and be your best friend the next. In When Good Friends Go Bad we were imagining what it would be like to meet your old schoolfriends again and how you would get along, what you’d still have in common – especially if you discovered one of them had betrayed you in a significant way. Our third novel Looking For La La was inspired by a postcard someone sent to Pam’s husband, proclaiming passionate love and signing herself La La. We got a kick out of using it as the first chapter of our novel. To Catch a Creeper follows on from Looking for La La, although it is a stand alone novel. We intend it as the second book in a The Crouch End Confidential Mystery series – but it totally stands alone if someone hasn’t read the first. We love human interest stories, the dynamics of relationships and we love using humor to get our point across. And also because life is basically funny. Having the victim and the case detective look alike isn’t a new idea. But I was inspired to create the Kate Springer character when I was at the park with my then two children. That day I saw a grandfather there with his granddaughter. There was an odd dynamic between the two. Now I’m pretty good at reading moods, and I could tell by the girl’s body language she was uncomfortable with the touch of her grandfather. I’m a mom. I know the difference between when a child is being moody and when something else is bothering them. This was definitely something else. I regret not striking up a conversation with the child but soon after they arrived, my son fell down, scraped his knee, thus ending our day out. I’ve never been able to get that little girl out of my head. And in my writer’s mind, she developed into something more. Eventually, I created a whole scenario around her thinking what her life would be like if she grew up the victim of childhood sexual abuse at the hands of her grandfather. Thus Kate Springer was born. I took it a step further, wondering what if Kate became a detective and one day looked into the face of a thirteen-year-old victim, realizing it was like looking into a mirror. What kinds of emotions would it stir up? Would the memories of Kate’s life at thirteen come rushing back? A grisly murder. A six-year-old eyewitness. A gun from the grave. 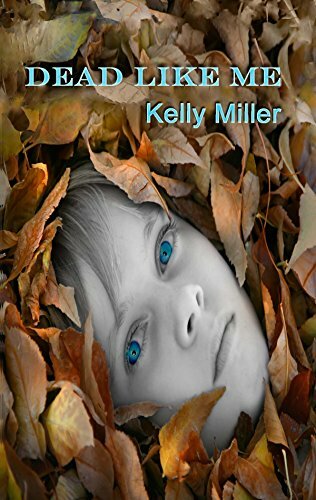 The Profiler’s Daughter is a psychologically haunting thriller that combines murder mystery, love triangle, and family intrigue in one satisfying page burner. 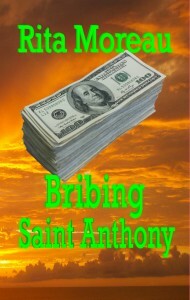 Sky Stone was born into the wealth and privilege of Boston’s oldest Brahmin family but chooses instead to follow in the footsteps of her deceased father, legendary FBI profiler Monk Stone. In the chilly morning hours before the Boston Marathon, when a beautiful university student is found strangled and mutilated, her body left at the base of Heartbreak Hill, Sky returns from self-imposed exile to investigate. Thirty-six hours into the investigation, Sky’s world turns upside down when she is fired from the Homicide team. They pin the murder on an innocent man, forcing Sky into a treacherous game of cat and mouse with the real killer. From the stately mansions of Beacon Hill to the flat scrubland of central Texas, Sky keeps the reader on a razor’s edge, culminating in a no-holds-barred shoot-out. The Profiler’s Daughter, the first in the Sky Stone Thriller series, introduces a moody, enigmatic, and brilliant female sleuth with the fierce bite of Stieg Larsson’s Lisbeth Salander. As adeptly written as Martin Cruz Smith’s complex Arkady Renko novels, this thriller offers an intriguing plot, richly detailed characters, and an astonishing conclusion guaranteed to leave the reader begging for more. I wrote the book that I wanted to read, in the sense that I longed for a female protagonist that I could relate to: Sky Stone is the quintessential female, a woman who anguishes over love, who doubts herself, whose search for the killer is fraught with obstacles and and hurdles, both personal and physical, that she must overcome. A woman who prevails in the end. I wanted to write a funny mystery/romance about living in a small Utah town.